Congratulations to the athlete who is awarded with the gold medal – eastconsult employee! As the result of competition "The bench press championship of Saxony-Anhalt " (ger. 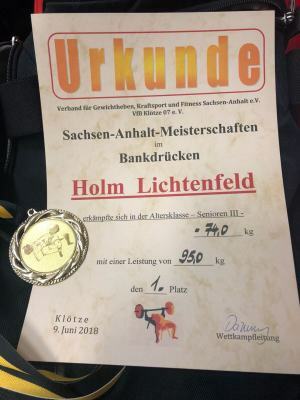 Sachsen-Anhalt-Meisterschaft Bankdrücken und Kreuzheben), held on 9 June 2018, the first place was taken by our colleague Holm Lichtenfeld! The Yalta International Economic Forum (YIEF) is an annual business event held in the Crimea (Yalta). The YIEF is the main showcase of investment opportunities and the investment potential of the Crimea. Every construction process is unique and depends on the scope and complexity of the project. 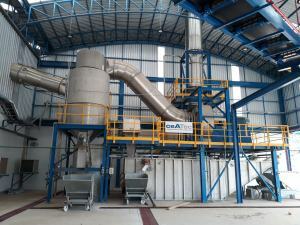 But each time a sustainable plant is built, the process follows all necessary steps and in the result we may find out another successfully completed project. The 15th anniversary International exhibition Woodex 2017 (Moscow), one of the famous events presenting different equipment and technologies for woodworking and furniture production sectors, has been finished on November, 17. This year eastconsult has participated in Woodex exhibition on the booth of our Italian partners, IMAL-PAL-GLOBUS group. One of the largest furniture producers of Russia, AO "MK Shatura" (Russia, Moscow Region, Shatura) and XyloSuisse LLC (Russia Moscow Region, Shatura), the Russian subsidiary of the Holding Company, have reached an agreement for the purchase of AO “MK Shatura” plant for chip boards, laminated chipboards and resins production. The transaction has been organized and accompanied by eastconsult LLC (Moscow, Russia) who will further assist in optimization of the plant. 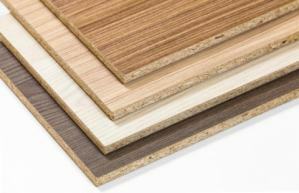 Our customer Panel Plus is a major producer of wood based panels in Thailand. In end of 2015 Panel Plus contracted eastconsult with the concept design, tender preparation, support in negotiations and supplier selection, legal support and project supervision for a new Thin-MDF line on a green field in Hat Yai, Thailand. In January 2017 the first machinery parts arrived on site and installation began, and already on October 27, 2017 the first MDF board was produced on the line.